Carrie Secrist Gallery is pleased to announce Shall we go, you and I while we can, a group exhibition featuring one large art work by each of the gallery’s represented artists. Shall we go, you and I while we can is as an invitation to view large to monumental artworks presented in a dedicated and enhanced environment. The nine artworks on view use scale as a means to encourage a way of seeing with an underlying context of the visceral to accompany the visual. 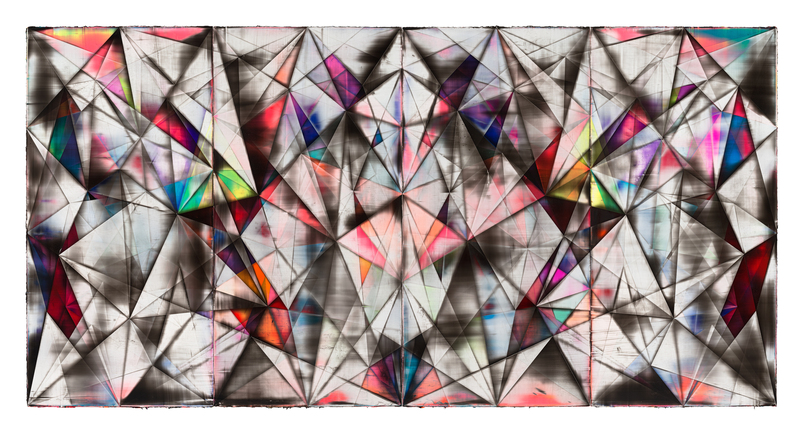 Upon close inspection the viewer can get lost in a single work’s materiality (Anne Lindberg’s graphite on mat board), geometry (Shannon Finley’s intersecting shapes and paint scrapes) and precision (Stephen Eichhorn’s hand cut flora on cats). From a respectable distance, the viewer may discover entire tropes: Whitney Bedford’s desert landscape sublime, Dannielle Tegeder’s abstract utopian maps and Andrew Holmquist’s populated psychological architecture. An aura of mysticism is also present with Liliana Porter’s tiny figurine performing a monumental task, Diana Guerrero-Maciá’s mesmerizing contemporary mandala and Michael Robinson’s video homage – of a homage – to an otherworldly obsession. The title of the exhibition is a verse from the proto-experimental improvisational song “Dark Star”, written by Robert Hunter and originally performed by The Grateful Dead. The meager amount of lyrics (82 words) that accompany this song that can last from the under 3-minute studio version to over 40 minutes in a live performance, are musically encapsulated in a way that is as strange as it is cosmic. As such, ‘Dark Star’ shines as a preeminent example of a song drenched in visualizations, inducing what could be described as synesthesia, or the simultaneous perception of an experience with the aural (sound) and the ocular (vision). Of the 240 times played in concert, each performance was remarkably different as presented in a particular time, space, mood and energy. Visual rhetoric, a term based in the science of semiotics, refers to how we interpret and make meaning out of anything we see and how we are persuaded by those things we see. Shall we go, you and I while we can plays to this power of looking as a commanding force in everyday life. As “Dark Star” was contextualized each time it was heard in performance by the music that surrounded it, here, the context encourages exploration – becoming an experience of seeing. Let the art be your guide. In conjunction with Shall we go, you and I while we can, the gallery is happy to announce it’s partnership with Taris Real Estate and their new building 900 West Washington (Chicago). This state of the art building on the corner of Washington and Peoria in the West Loop contains artwork by each represented artist in 9 units, including a group exhibition in the penthouse. The gallery will have guided tours each Saturday at 1 and 3PM during the exhibition: May 11, 18, 25 + June 1, 8 15. Individual tours are also available by appointment. 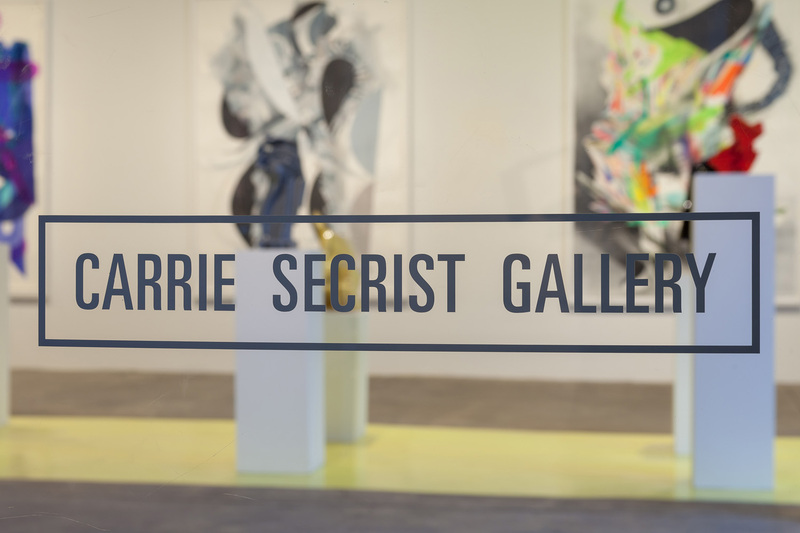 If you’d like to sign up for a Saturday tour, or an individual tour, please contact Kelly Long at the gallery: 312.491.0917 or kelly@secristgallery.com. A full schedule will be posted on here soon.